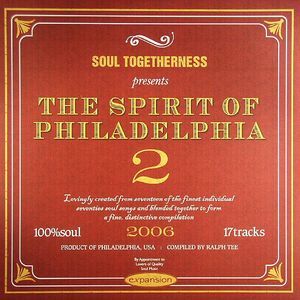 VARIOUS The Spirit Of Philadelphia 2 vinyl at Juno Records. 1. Ben E King - "We Got Love"
2. Eddie Kendricks - "It's Not What You Got"
3. Brenda & The Tabulations - "Let's Go All The Way (Down)"
4. The Joneses - "In Love Again"
5. 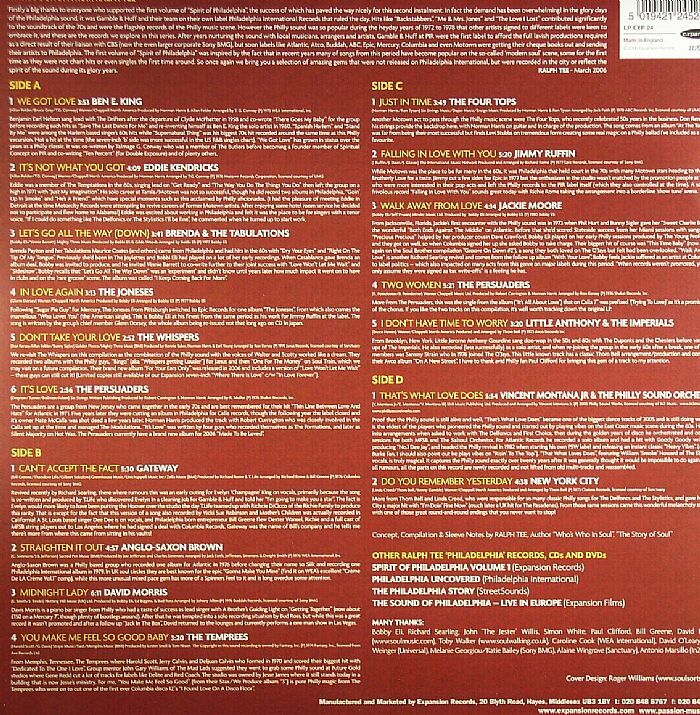 The Whispers - "Don't Take Your Love"
6. The Persuaders - "It's Love"
1. Gateway - "Can't Accept The Fact"
2. Anglo-Saxon Brown - "Straighten It Out"
3. David Morris - "Midnight Lady"
4. The Tempress - "You Make Me Feels So Good Baby"
1. The Four Tops - "Just In Time"
2. Jimmy Ruffin - "Falling In Love With You"
3. Jackie Moore - "Wlak Away From Love"
4. The Persuaders - "Two Women"
5. Little Anthony & The Imperials - "I Don't Have Time To Worry"
1. 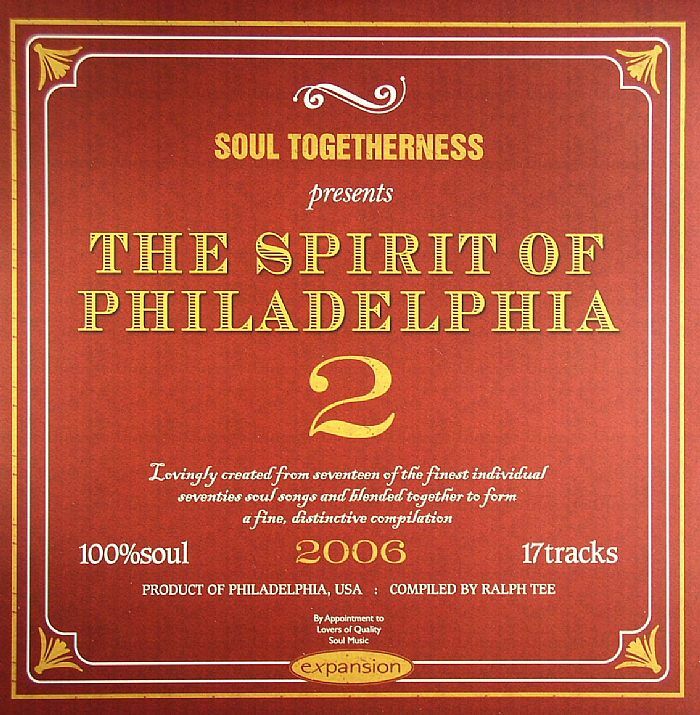 Vincent Montana Jr & The Philly Sound Orchestra - "That's What Love Does"
2. New York City - "Do You Remember Yesterday"